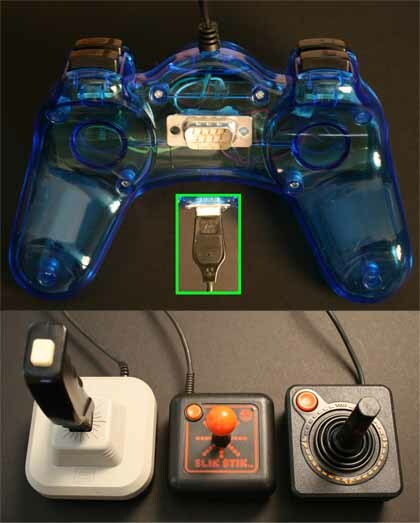 This controller allows you to seamlessly use your favorite 'classic' Atari 2600, Commodore, or Amiga joysticks by connecting it to a standard USB game controller via a DB9 port. Works on any console gaming system or PC/Mac with a USB port! Works with any PC emulator that supports USB controllers (MAME, WinUAE, Stella, CCS64, etc.)! You may have seen these on ThinkGeek.com!